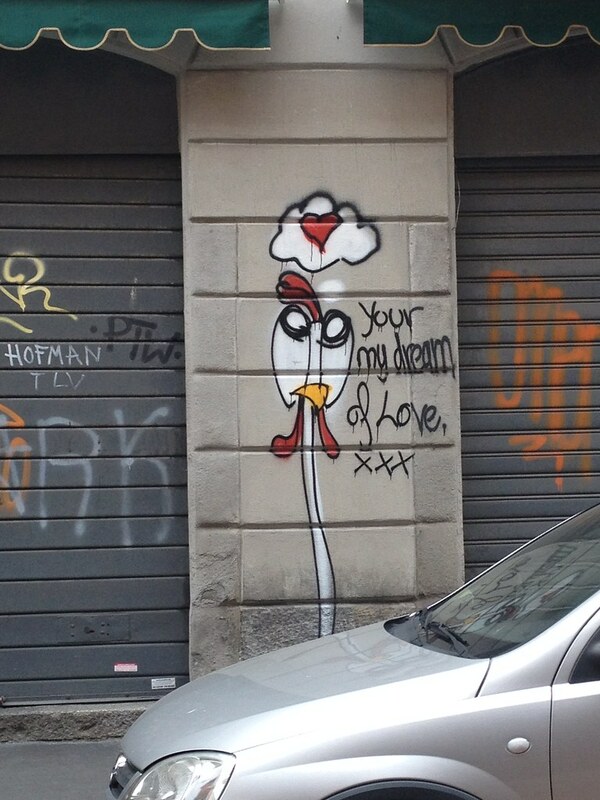 Around Milan there's plenty of graffiti to be seen and a lot of it is a mess, which distracts from the beauty of the city. 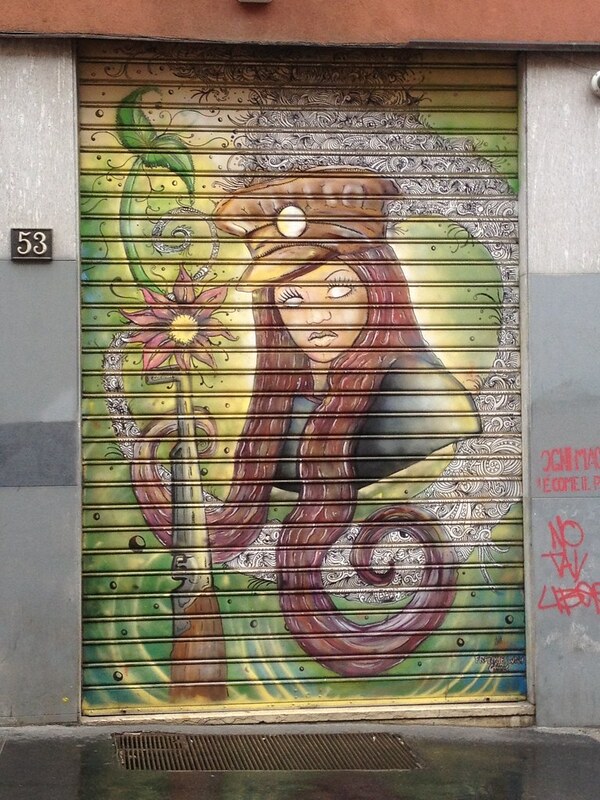 But, every now and again, you find some street art gems that add a bit of polish to the diamond in the rough that is Milan. And this is just so random that I love it. 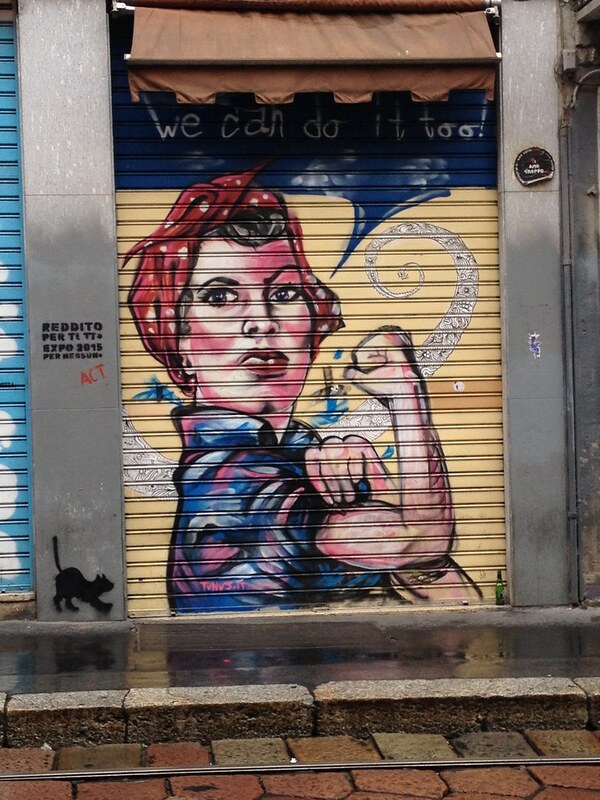 Many shops paint their metal 'tapparelle'. 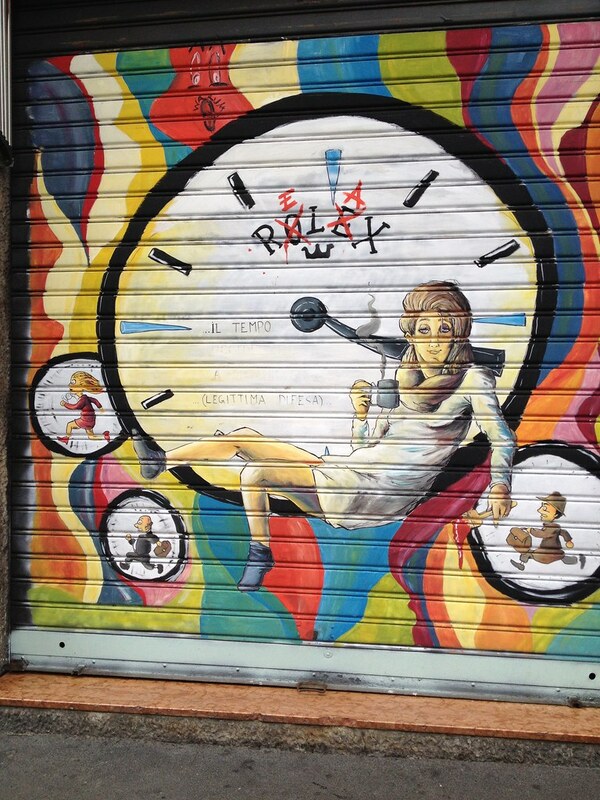 I think this helps minimize the random graffitti that shows up. 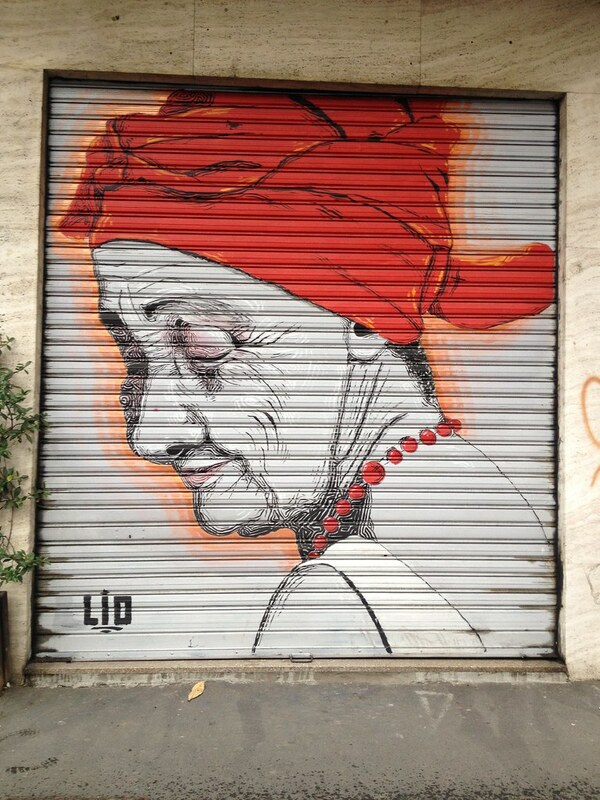 Many of these are found in and around the Porta Ticinese area. 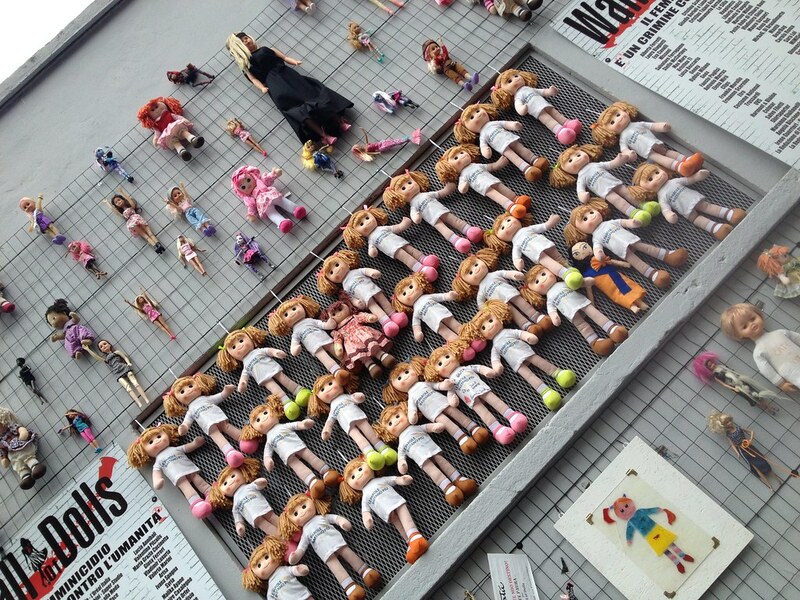 And, different from the spray painted scenes above, this Wall of Dolls appeared during Men's Fashion Week in June. 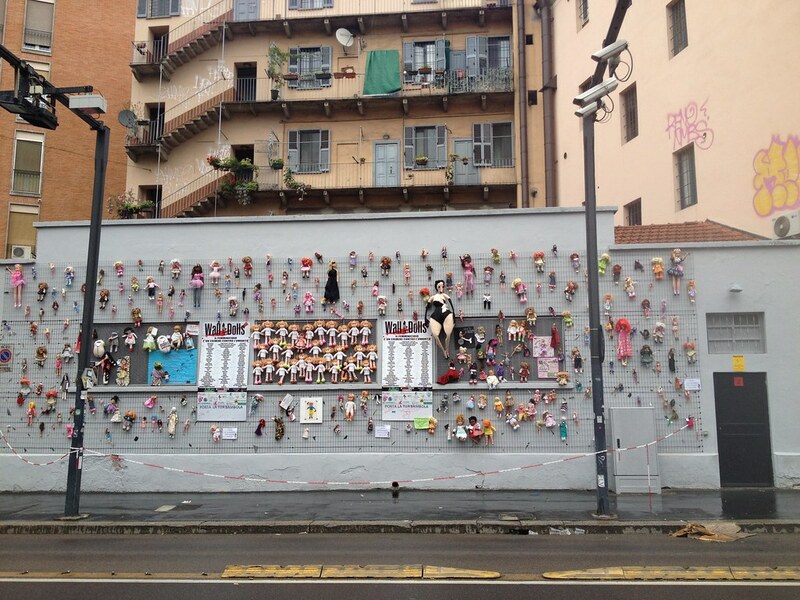 The wall is designed to highlight awareness of violence against women and many designers submitted dolls to be placed on the wall. I had seen the display while driving past in a taxi and had to walk back one day to see what it was. Thanks for this walk Carrie. 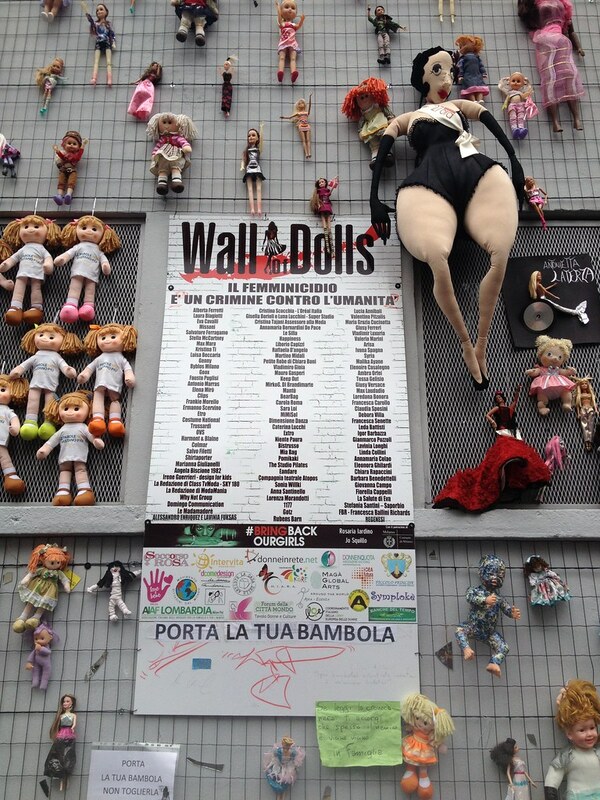 I passed by the Wall of Dolls last weekend, but was so busy that I didn't stop to find out what it was about. Now I know. Grazie mille.